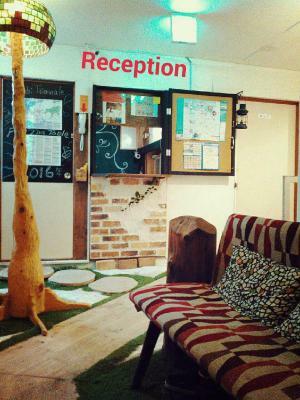 Lock in a great price for Takamatsu Guesthouse BJ Station – rated 8 by recent guests! Location is VERY close to train station. Has a cool bar downstairs and is close to stores and the pier. All one might need is provided. 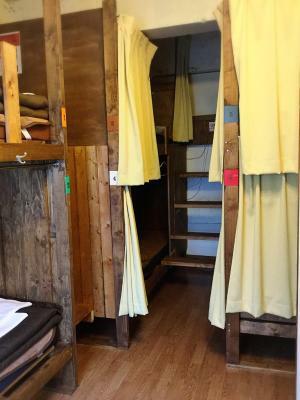 It is a rather small guesthouse, so do not expect large spaces, but you literally have everything in your easy reach, inside and outside the guesthouse. Staff is welcoming and very supportive, although not physically available 24/7. But as mentioned, you have all in your easy reach, and everything is planned out so that you are covered with what is needed, at any time. 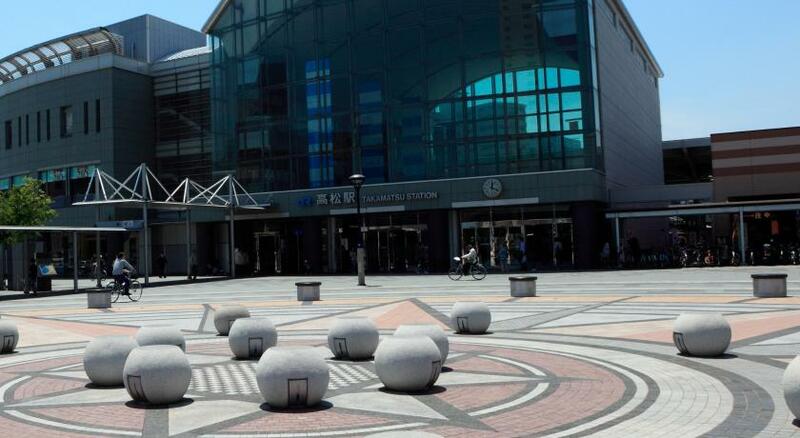 The location is great, about 5 minutes to the port and the JR station. Everything is clean. 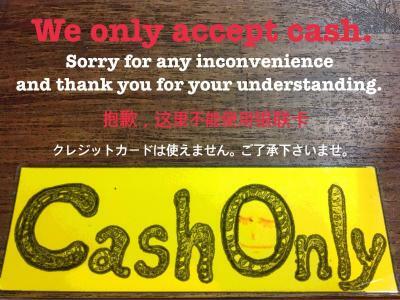 The staff speaks good English and was very helpful. The futon is comfortable. The staff here was very knowledgeable of local attractions and were helpful when it came to researching information that was largely only in Japanese. Their spoken English was wonderful and overall then were very friendly! The hostel is definitely a bit older, but is well maintained. All areas were kept quite clean. It was also very close to the station and ferry terminals which is made is SO a convenient for day trips :) I would definitely recommend this hostel. 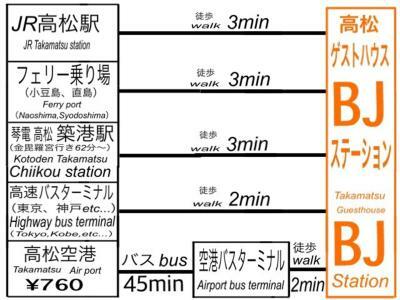 Super convenient to Takamatsu train station and ferry terminal. Private room was small but all I needed at a great price. There was good signage and space to leave my bag when I arrived before check-in time. Location was awesome and super convenient. The beds were very comfortable. Staff was very friendly too. Good location. It’s a little bit hard to find at first, though. Clean restrooms and shower rooms. 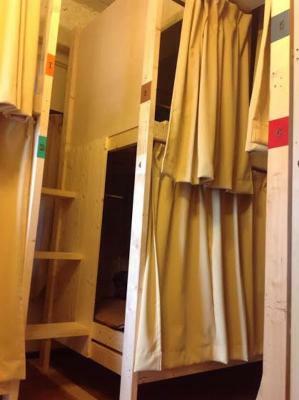 A small locker for private stuff. I liked having a room with only girls. The location was very close to the station and therefore very good! 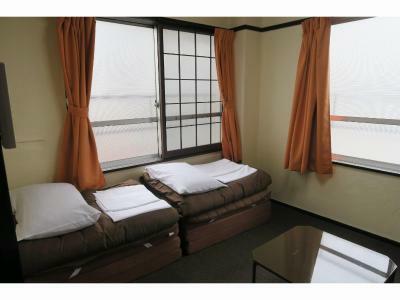 Takamatsu Guesthouse BJ Station This rating is a reflection of how the property compares to the industry standard when it comes to price, facilities and services available. It's based on a self-evaluation by the property. Use this rating to help choose your stay! 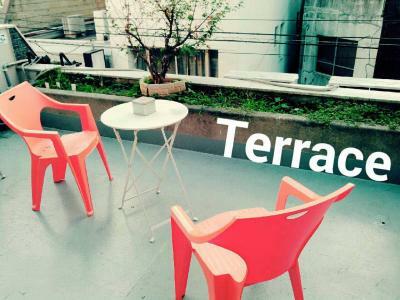 Located in Takamatsu, a 12-minute walk from Takamatsu Castle, Takamatsu Guesthouse BJ Station features a terrace. Located around 4 miles from Setonaikai Kokuritsukōen, the guesthouse is also 2 miles away from Ritsurin Garden. Free WiFi is available. Shikoku Village is 4.4 miles from the guesthouse, while Sun Messe Kagawa is 6 miles from the property. The nearest airport is Takamatsu Airport, 10 miles from the property. 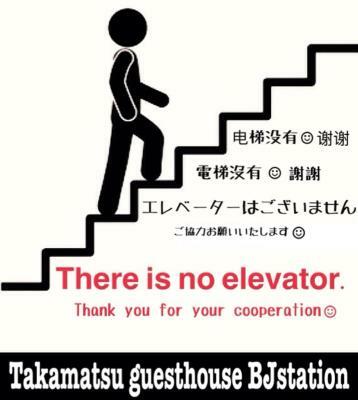 When would you like to stay at Takamatsu Guesthouse BJ Station? 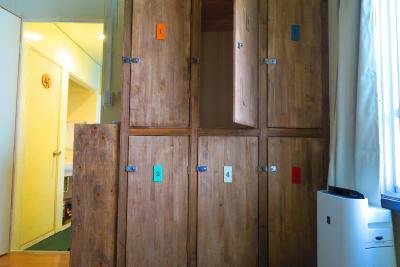 House Rules Takamatsu Guesthouse BJ Station takes special requests – add in the next step! The communal areas are not great. There is only 1 shower for many rooms, which can make it tricky at busy time. The bar dowstairs is quite noisy until midnight. It was very close to the train station and the ferry terminal. So close to the train station (with VERY thin walls) it’s very noisy at night. The night we were there it was quite windy, as I’m sure it often is being so close to the ocean. There was something banging in the wind for most of the night. To the point where when I went to check it out and hopefully put a stop to it. Most of the floor was up trying to do the same... the bedrooms were clean but you had to make your own bed as well as strip it clean and take it down to the lobby and put it in designated bins. which is a little much to ask for the price. we weren’t very happy with our stay. Can’t cook in the kitchen, but there’s microwave to reheat the food. Close to jr station and pier. Receptionist speak fluent English, eager to help. Stayed in a single room, room was clean and tidy. The plug is not enough for three people at the room we stayed. The wifi is very fast ! Got to be extra careful climbing up and down the stairs. 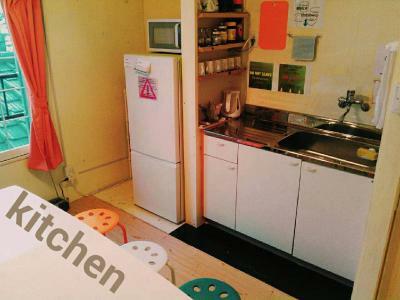 Shared kitchen opens until 11pm, would have preferred it to be available at all time. 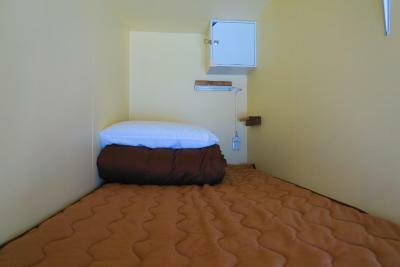 Twin room is clean, though it is really very small. No issue with using the common area's wash basin, toilet and shower room, just that sometime it is occupied and thus have to check the availability on the other floor. Friendly reception staff. 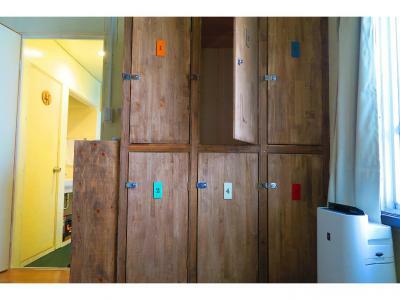 Very close proximity to Takamatsu Station, ferry terminal, convenience stores, and supermarket. Avoid rooms on second floor for noise. Especially 201, one of the triple rooms, as there is a loud buzzing sound outside the window from an air conditioner. Staff did let us change rooms after we mentioned the noise. 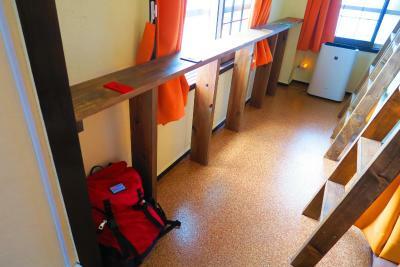 Overall the hostel is a bit run down feeling, especially inside the rooms. Staff aren’t present at the property for most of the time. Check in is very late, while check out is normal time which seems strange. There is some smell (cooking and cigarettes) which does come upstairs from the bar, but it didn’t come into the room. 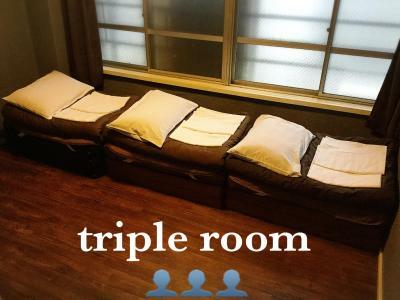 Unbeatable location right near JR Takamatsu station. Easy to get to the gardens and the castle ruins. Lots of restaurants nearby. Comfortable futons and dark rooms which made sleeping easy. Although check in is very late, there is space to lock up your bag inside before check in. Not too hard to find the hostel if you know it is in a smaller alley and above a bar. Recommend a visit to Busshozan onsen (easy to get to from hostel) for a nice open air bath with locals, BYO towel. Only the fact that there is one male shower. The staff at this guest house provided us with a quite peaceful and relaxing environment in takamatsu during a typhoon. The level of hospitality they provided is outstanding. 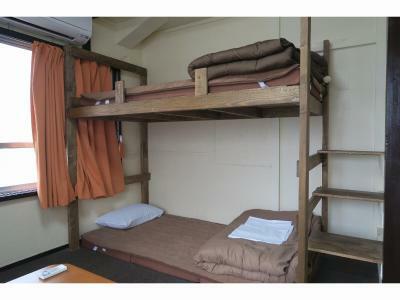 The guest house is great value for money, and simple. But the people who worked here, especially the female on the reception desk, offered hospitality like we have never experienced before. We are truly thankful to the staff we met at the guest house. Thank you for providing us a fantastic start to our amazing holliday in japan. (1)bed excellent. (2)location excellent. (3)toilet and bath room clean (4)Staff nice! The staff is very nice and helpfull!!! Thanks for your nice email hana! 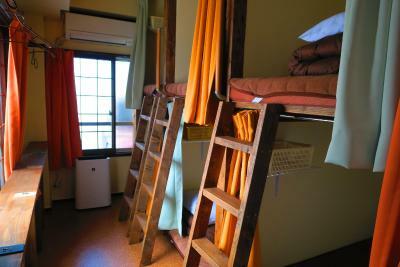 Hope to come back to takamatsu and the hostel! 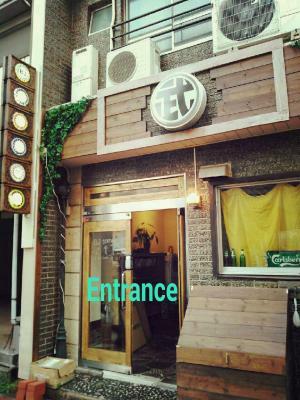 Great location 5 minutes from station and Takamatsu center, and AWESOME lovely artistic staff. Comfortable clean rooms and every amenity you need is readily available.